And now from Kuala Lumpur to Seoul, where we are visiting good friends of ours. 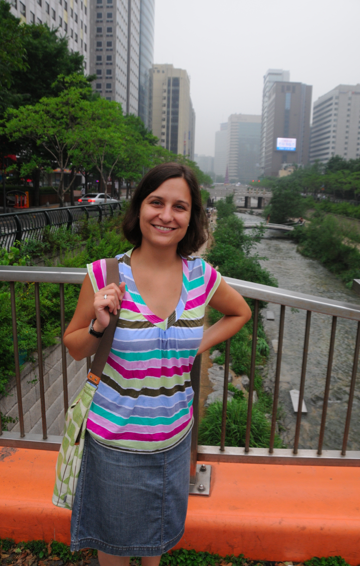 We started our visit with a walk around the heart of Seoul, where there used to be an expressway – but it’s not there anymore. 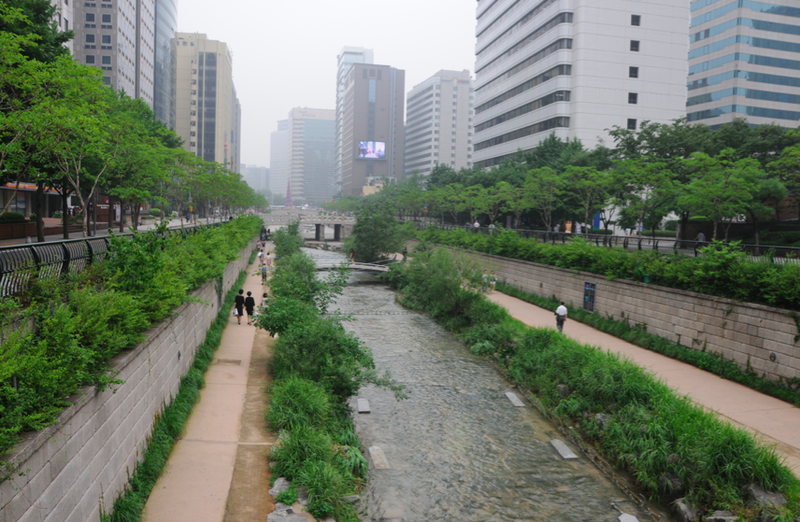 In 2002, Mayor Lee Myung-bak of the City of Seoul pledged to tear down a six lane elevated highway going right through the centre of the city and create a five-mile long, 800-yard wide, 1,000-acre lateral park snaking through the city where the river once ran. 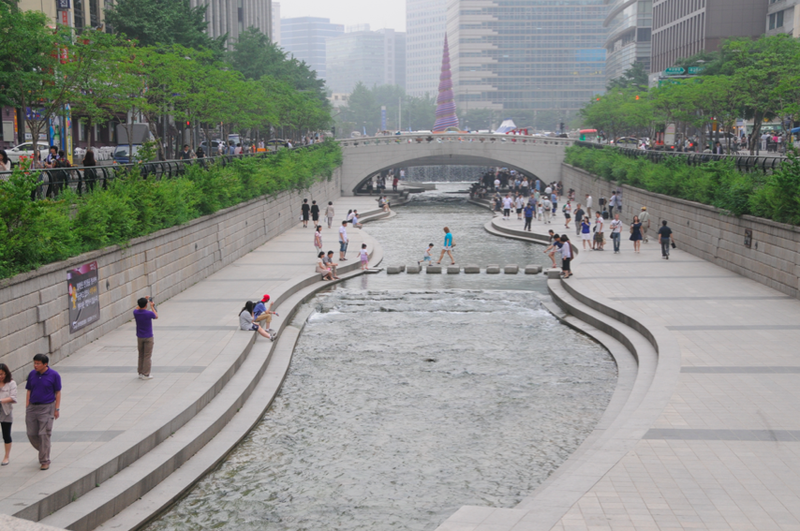 The vision was ordinary enough: to create a focal point of both historical significance and aesthetic appeal, with the Cheonggyecheon triggering long-term economic growth, attracting tourists and investors alike, but it meant thinking the culturally impossible. The road carried 160,000 cars a day and was perpetually jammed, but was still considered indispensible for the city’s economy. Still, work started in July 2003. It had taken 20 years to build the roads and to obliterate the river, but it took contractors just two years to pull them down and restore it. It cost $380m (£201m) and required 620,000 tonnes of concrete and asphalt to be removed and recycled. Twenty-two new bridges were built, and the water in the river was restored, albeit mainly from groundwater. There was fierce opposition and protests to begin with from nearby traders, who feared that cars would no longer be able to get there, and thousands of hawkers and other people who used the space below the motorway were forced to leave. They were eventually relocated. Once the park was built, everyone was excited. Drivers changed their habits, people came to walk next to the river, and many birds came back, plus fish, insects and plants. It’s now a nice stroll in the city, and it feels a lot different than walking besides the main river (which is just next to highways – you can’t walk or bike next to the main river). However we strolled past the new river and enjoyed the scenery.